It’s been a while since we traveled to the Outer Edges on this site, the place where we take a look at releases that, while not exactly metal, sure have their place in the DNA of the stuff. Look, very few people worth their salt listen to only metal all day long. I sure don’t. Obviously I love metal since I devote an entire website to it, but there are plenty of other things out there, some of which darkens some of the edges of the music form we all love. 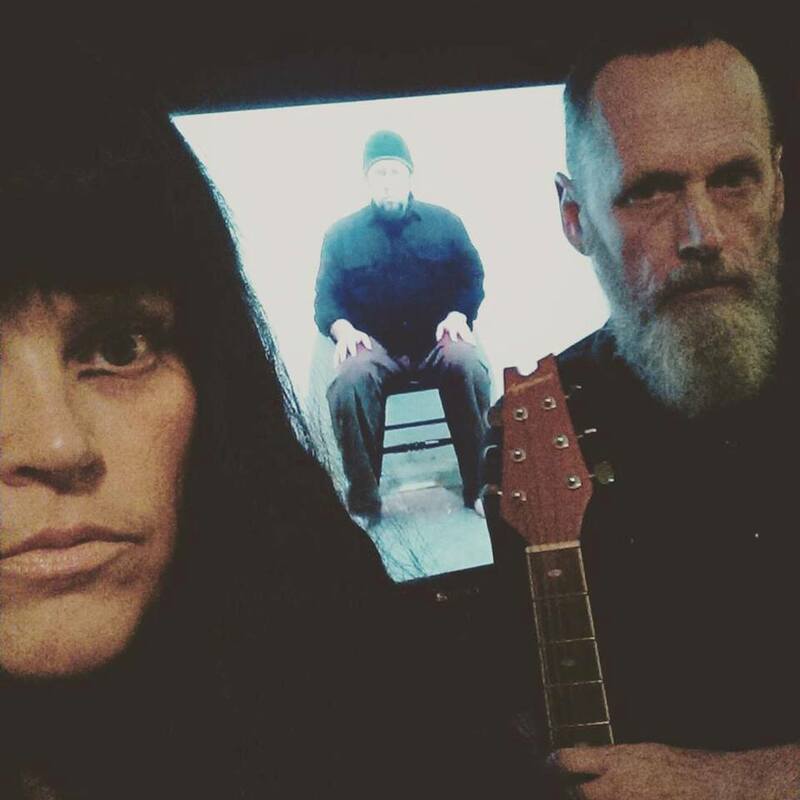 A couple of years ago, darkwave pioneers Lycia made a triumphant, unexpected return after a decade of silence when they released their ninth album “Quiet Moments” on Handmade Birds. Hell, since we’re on the subject of metal fans being able to immerse themselves in other things, that label is the embodiment of the way of thinking. 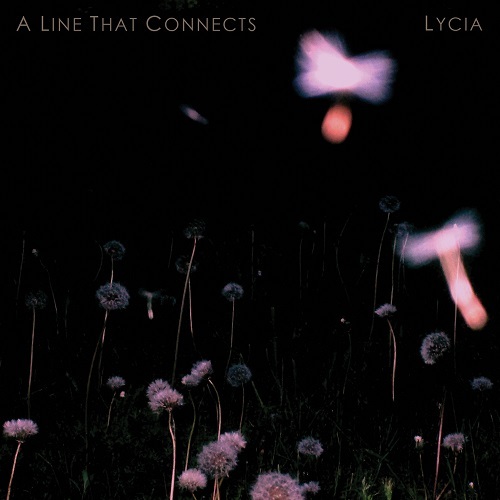 So it wasn’t a shock to find Lycia recording there, and it sure made a ton of sense when a package from the label that arrived recently in my mailbox contained the heavily anticipated 10th Lycia album “A Line That Connects.” Naturally, this was a release that had to go on immediately, as I wanted to sink into these 14 tracks (well, 15 if you count the brief outro), and what I found was a dark world with water trickling down black walls and the same morbid charm we’ve come to expect from this band. It’s pretty damn drab, but it’s a great listen that will arrest you and hold you hostage. Not against your will, oddly enough. Mike VanPortfleet remains at the helm of the band he founded in 1988 as a solo project. Along with him on the album is longtime musical companion Tara Vanflower (who contributes her ghostly vocals) as well as returning member David Galas (he handles a slew of duties on this record). They bring with them some guests including Sera Timms (Ides of Gemini, Black Math Horseman, Black Mare) and Michael Irwin to flesh out the songs, and as a whole, it’s a weighty, involved recording that requires your participation. You need to engage and bleed along with these songs to really appreciate what’s going on here, and their mix of post-punk bleakness and doom darkness is an engaging, fascinating listen. “Bright Like Stars” then emerges, with Vanflower taking over again and delivering a dizzying performance that may leave you gasping. The song is honest and raw emotionally and then makes way for “The Light Room.” This one’s a little brighter, with bells chiming and both VanPortfleet and Vanflower singing together, blending ideally even when they’re owning up to, “I don’t understand what you say,” as guitars cut and the song buzzes out. “Illuminate” churns during its run with ominous tones, pounding doom, and beats cracking as the track unfurls its horrific wings. The song drones wonderfully, just enough to balance emotion and anxiety. “A Ghost Ascends” is cosmic, with the vocals feeling a little Bowie-ish in their showmanship. This cut really opens up and charges forward, which helps it stand out, and it rattles right over to “Hiraeth,” a slow, dreamy song that Vanflower owns. The track feels like it enters into your dreams, with her wondering aloud, “Where did you all go? Don’t let time touch me,” almost as if she’s a lost soul read to take a journey into the unknown. “Autumn Moon” fades in, an oddly breezy song that seems designed for you to let down your guard. The singing is deep and rich, while the emotional layers added on top agitate your mind. Finally, “The Only Way Is Out” lands, with quivering feelings, thick and dark playing, and melodic singing that feels like it’s trying to let you in on some intergalactic secret that you must fully uncover yourself. It’s a bit of a cliffhanger of an ending that only spits out a few more seconds of silence in a hidden track that only has a child speaking softly in the background. Lycia have inspired many, gone through enough changes over time to make up for several bands, and still remain today making vital music that should identify with every dark spirit in your heart. “A Line That Connects” is another great, spiritually-punishing entry into their vast catalog, and it’s something that more daring, emotions-bleeding-on-our-sleeves listeners likely will devour as a whole. Great to hear this band still pumping dark, oil-thick plasma through their powerful veins.